LAST GASP: The Falafel Is Coming Back! 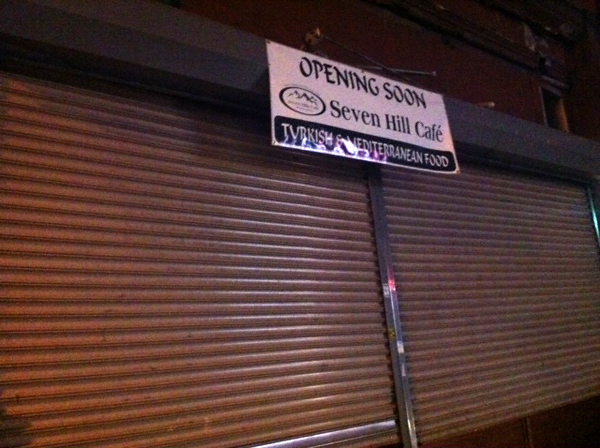 849 Manhattan Ave will be serving up Turkish food once this new place opens. Let’s hope they fare better than the last guys who tried this location. Does this mean yours truly will not have to schlep to Nassau Avenue for a bowl of lentil soup? I can only hope so. No disrespect intended to Kestane Kebab (their soup is quite tasty) but it’s damned cold outside! One Comment on LAST GASP: The Falafel Is Coming Back! Someone told me the rent there was around $4000/mo. Hope this new place can make a go of it, but I still think the Milton cart is the best in the ‘hood and they are lovely people to boot.